Register for your account today! New Eco-Friendly Cleaning Wipes from Gulton.Click here! Why do print heads fail? This is a question that every user of a thermal printer has asked, probably more than a few times. It’s also a question with more than a few good answers. The most prevalent cause of printhead failure is dirt. Remember, though, that thermal printers produce a very specific kind of dirt. The material used for printing in a thermal printer is paper based. During the process of creating the material the paper is slit and die punch multiple times. This action creates paper fibers that create “paper dust” during the thermal printing process. Paper dust lands everywhere in a thermal printer. The paper dust is “kicked” around during normal operations, installing new rolls of material or ribbon. Paper dust is attracted to the roller under the print head, which under the pressure of feeding the material creates a raised area under the print head. This raised area begins to cut into the protective covering of the printing line. Once this process starts, voids in the print area are inevitable. How do you combat this destructive action? You have to clean your thermal printer regularly. Most especially, you need to clean the printhead area. In addition to addressing the build of paper dust, you’ll be removing other contaminates as well. Gulton suggests that you do this after every material roll change or at least once every day. Use an approved cleaning product (Gulton’s cleaning wipes) that’s safe for your equipment, the printhead and the environment. And, speaking of environment … you need to remember that the environment in which your thermal printer is situated can also lead to printing voids. A dusty environment can be just as bad as paper dust inside your printer. Keeping your printer cover closed during normal operation and especially when the printer is idle will help limit environmental involvement in printhead failure. Another cause of printhead damage can be the material itself. If the material is rough in nature it may be acting as an abrasive to the printhead and can cause the white lines no one wants to see in their printed image. Additionally, the printhead needs to be handled as an electronic device. Mishandling during installation may lead to damage outside the printing line, and the printing line itself, which would lead to poor printed images on your material. Although the darkness setting is NOT a cause of printhead damage, voltage spikes can damage the printhead. This normally occurs when the power source to the thermal printer has other devices, like a microwave or other high voltage spike devices plugged into the same power source. This situation usually creates a larger void in the print head, which indicates a larger area of the printing line was damaged. Surge suppressors are an easy and cost-effective solution. Printheads are the powerhouse behind your thermal printing operations. While they look simple, they are electronic devices that are affected by any number of different issues. Gulton is meticulous with our manufacturing process, ensuring you the highest quality printheads you can purchase. 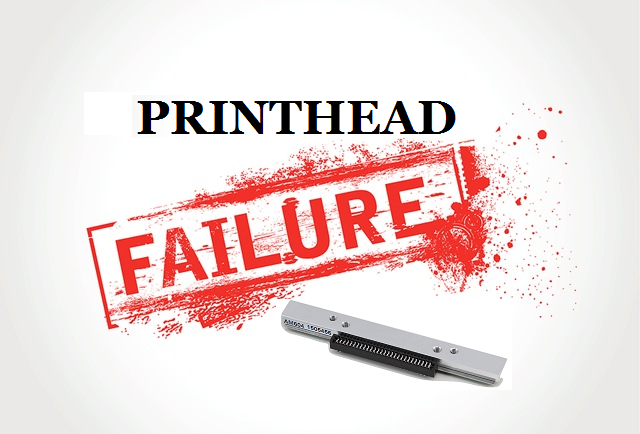 Following these simple steps to avoid printhead failure will help you get the most life and the best results from your investment.